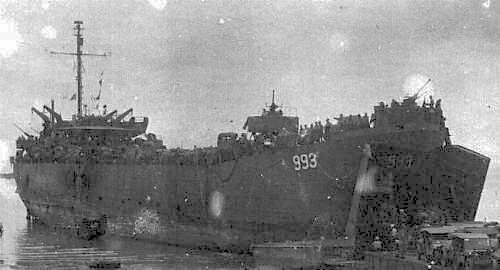 3,344k USS LST-993 and USS LST-1027 high and dry at low tide at Tarakan, Borneo 1 May 1945. 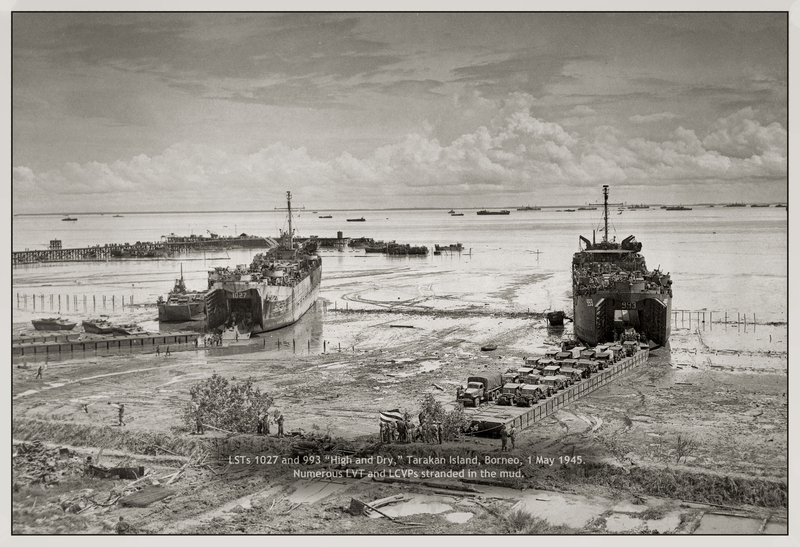 Headquarters 26th Brigade Infantry troops and vehicles are crossing the muddy beach on a causeway pontoon. 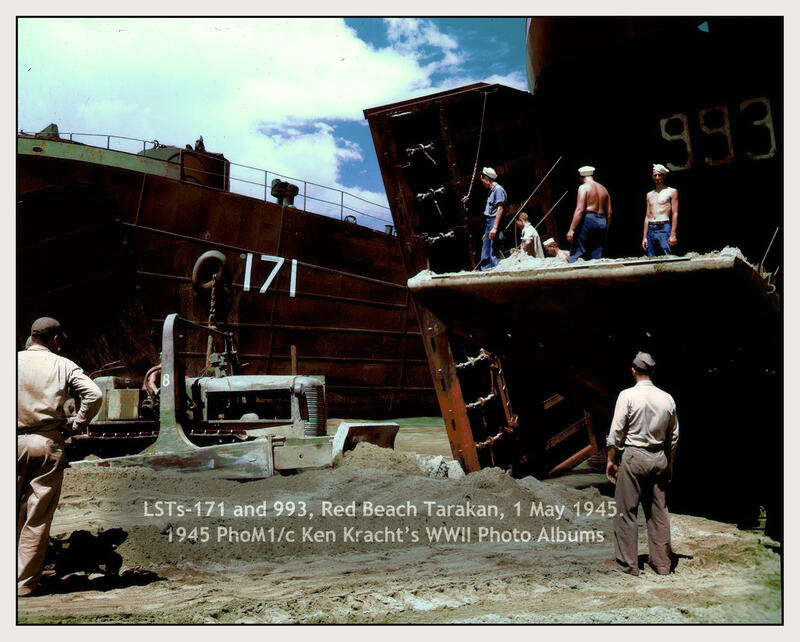 58k USS LST-993 high and dry at low tide at Tarakan, Borneo on 1 May 1945. 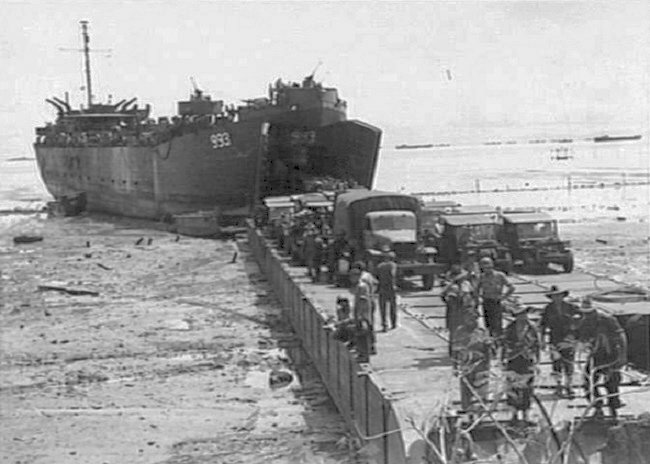 Headquarters 26th Brigade Infantry troops and vehicles are crossing the muddy beach on a causeway pontoon.